King Herod, also known as Herod I and Herod the Great, was one of the kings of Ancient Judea. Born in 73 BCE, Herod assumed the throne in 37 BCE, following Marc Anthony’s conquest of Jerusalem. Herod was installed as a client king of the Romans, selected to lead Judea as a vassal state for the Roman Empire. He is pretty much universally regarded as a despotic tyrant who brutally and ruthlessly persecuted Jews, Christians, and even members of his own family. At his command, Herod’s wife, Mariamne, was executed along with several of his children. Answerable to no one aside from Rome, Herod unleashed a reign of terror across Judea. His personal bodyguards and secret police silenced any political opposition, quashed protests, and slaughtered many Jewish scholars and sages. Despite his tyrannical rule, Herod is well regarded as a ‘builder’. During his reign, many lavish architectural structures were built, many of which are still standing today. According to Talmudic legend, King Herod felt that the Jewish sages did not respect his authority and were dismissive of his Jewish heritage. (Herod was an Edomite whose father had converted to Judaism). Consequently, Herod ordered the massacre of the Jewish Sages. One of the last surviving scholars, Bava Ben Buta, advised the king to atone by rededicating the Second Temple. Historians are generally dismissive of the story, and instead, suggest that Herod simply wanted to build a remarkable structure that would perpetuate his legacy for generations. In any event, Herod’s Temple was an architectural masterpiece. To create a platform for the Temple, Herod used huge blocks of stone to smoothen the natural edges of Temple Mount and create a flat, rectangular platform. The Temple itself contained many different halls, chambers, courtyards, and gates. On a typical day, the Temple was a hive of activity. There was a bazaar, packed with merchants and buyers, priests performing sacrifices and daily rituals, as well as thousands of pilgrims. The Temple was destroyed by Emporer Titus’s army in 70 AD, leaving only the outermost western wall of the Mount, as well as a partial section of the southern wall. The western wall is still standing today and is revered as one of the holiest sites in the Jewish religion. Millions of people visit the Western Wall every year, to see firsthand a remarkable piece of history, and to admire the enormous stone blocks that descend up to twenty feet underground. The Masada Fortress is an ancient fortification, located on a rock plateau, on the eastern edge of the Judaean Desert, not far away from the Dead Sea. The fortress was originally built as a palace for King Herod, who later turned it into a protected stronghold where he could flee in case of a rebellion. Decades later during the Judean revolt against the Roman Empire, the Sicarii (Jewish rebels) fled to the fortress after massacring a Roman garrison. After a lengthy siege, the rebels eventually committed mass suicide, rather than surrendering to the Romans, led by Lucius Flavius Silva. Today, the fortress on Masada is a heritage site, where thousands of people travel annually to visit the site of the famous battle. Although little remains of the actual structure, the floorplan is still clearly displayed, and you can experience firsthand how the people lived thousands of years ago. The site is also a lookout spot which offers a phenomenal view of the Judean Desert. To reach the top of the mountain, you can choose between a hiking path, or take the much easier option – cable car. 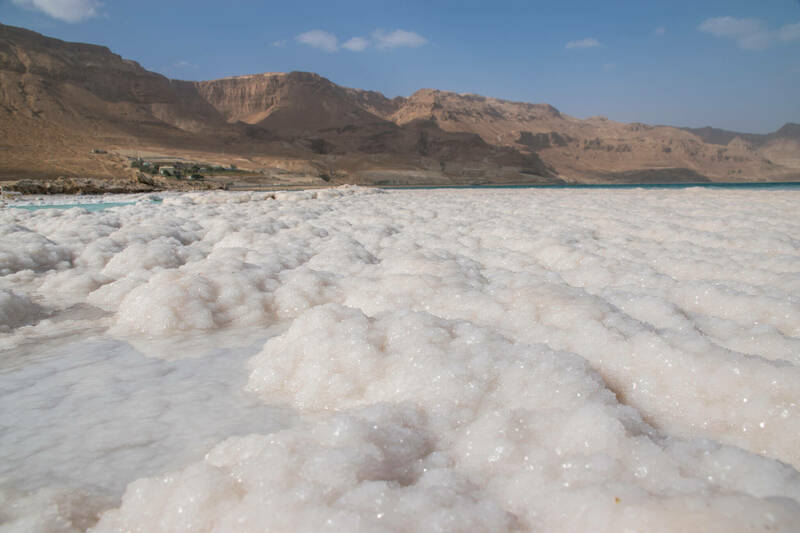 This can be also done as part of your Dead Sea vacation. Herodium is a small cone-shaped hill, located in the north of the Judean Desert, just a few KMs south of Jerusalem, adjacent to Bethlehem. The hill is the only site in the world named after Herod the Great who, in 40 BCE, built a fortress at the site and named it after himself. The ancient fortress contained four towers which made up a magnificent palace, known as ‘Herod’s Palace’. The lavish castle contained a bathhouse, mosaic floors and magnificent living quarters. The palace was destroyed by the Romans during the Great Jewish Revolt in 71 AD. Today, the site is a national park and major archaeological exhibit. Many famous artefacts were discovered here, including the ring of Pontius Pilate. How did King Herod the Great die? King Herod the Great died in 4 BCE following a lengthy period of suffering and illness. Some historians have speculated that Herod euthanized himself, such was the extent of his pain. He died in Jericho and few people mourned his death. The site of his burial is a subject of debate among historians. Some say he was buried in Herodium although this is disputed. He was succeeded by his three children, Archelaus, Antipas, and Philip. He left behind a legacy of tyranny, despotism, and oppression. Yet, he was responsible for building some of the greatest architecture the Levant has ever seen.